Apple has restarted the beta testing cycle once more after its latest batch of public releases, providing developers the first builds of iOS 12.1.2, tvOS 12.1.2, macOS 10.14.3, and watchOS 5.1.3. The first iOS 12.1.2 beta is build number 16D5024a, the first tvOS 12.1.2 developer beta is build 16K5524a, and the first watchOS 5.1.3 developer beta is build 16S5523a. MacOS Mojave 10.14.3's first build in the developer beta is 18D21c. At this early stage, no information is known about the contents of each beta. AppleInsider is currently checking the release notes for updates and the builds themselves for new features and other changes. The new betas arrive the week after the public releases of the previous beta generation: iOS 12.1.1, tvOS 12.1.1, macOS 10.14.2, and watchOS 5.1.2. FaceTime was the main recipient of changes in iOS 12.1.1, including the ability to take a Live Photo during calls, as well as an updated bottom bar with buttons for muting and switching the camera. Real-time text (RTT) has been enabled for iPads and the iPod touch when Wi-Fi calling is active, eSIM support has been extended to more carriers, and the iPhone XR's Haptic Touch was extended to work for notification previews, among other changes. The tvOS 12.1.1 and macOS 10.14.2 updates largely related to performance improvements and bug fixes. The watchOS 5.1.2 update finally enabled the ECG app to run on the Apple Watch Series 4 in the United States. All versions from Series 1 onward gained the Irregular Rhythm Notification that checks the user's heart rhythm in the background, while new complications for the Infograph and Infograph Modular faces added extra elements for Messages, Home, and Mail. OT: why hasn't anyone done a teardown of the Core i9 MacBook Pro with VEGA graphics? From the reviews, it seems the i9 isn't throttled nearly as much as on the 560X models, yet the system still runs cooler. It would be great to know what changes Apple made besides the graphics hardware that make this possible. For instance, if a different thermal paste is used or if the cooling system has been improved. There is nearly nothing different. As far as we can tell, the only difference is that the integrated Vega 20 package is more efficient from a heat standpoint. 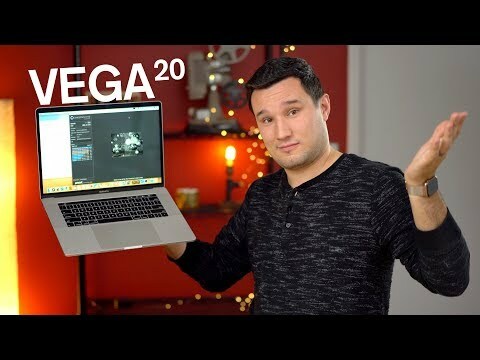 We've got a picture in the Vega 20 MBP review we published over the weekend. Thanks! I hadn't noticed those pictures. The physical design does look basically the same and Vega is supposed to be more efficient, but some people are replacing the OEM thermal paste with other, better solutions that improve thermal performance/throttling of the i9 560X model to be rather like the Vegas. So I wonder if Apple might have changed the paste they're using, too. If an app doesn't use the GPU, I would expect performance of 560X models to be equal to Vegas with all else equal, but that doesn't seem to be the case. See Max's CPU-only benchmarks which are about 5% higher than before.